CEMENT MIXER ELECTRIC 3 CU FT Rentals Ft. Collins CO, Where to Rent CEMENT MIXER ELECTRIC 3 CU FT in Ft. Collins, Wellington, Greeley, LaPorte, Loveland, Windsor CO and all of Northern Colorado. 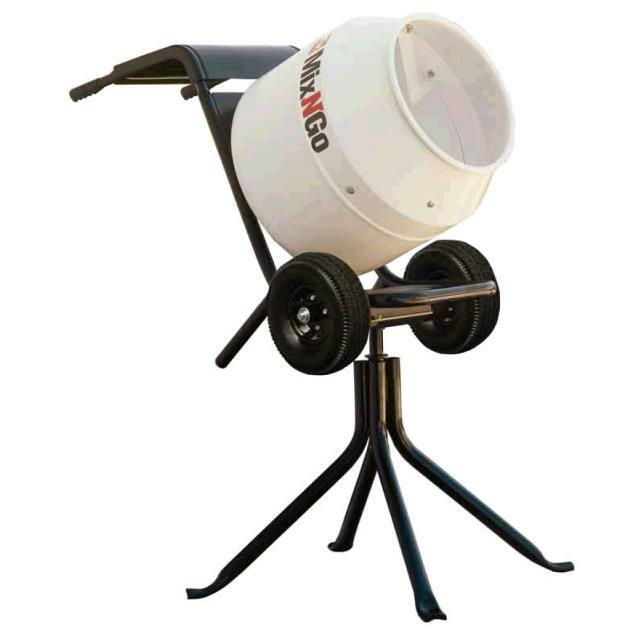 A small electric concrete mixer with a poly drum, to make cleaning easier. 3 CuFt Batch, 4 CuFt Volume, OR 1/2 Bag w/sand and stone capacity. Wheelbarrow style, or a stand is available so you can dump into a wheelbarrow. Weight 173 lbs, electric 115 Volts 1hp, 12amps. * Please call us for any questions on our cement mixer electric 3 cu ft rentals in Fort Collins, Wellington, Greeley, LaPorte, Loveland, Windsor CO and all of Northern Colorado.